Footnote 7. Biographical Sketches, p. 126. Reconstructing a precise chronology for this time period is problematic because of differences in Joseph Jr.’s and Lucy Mack Smith’s accounts. 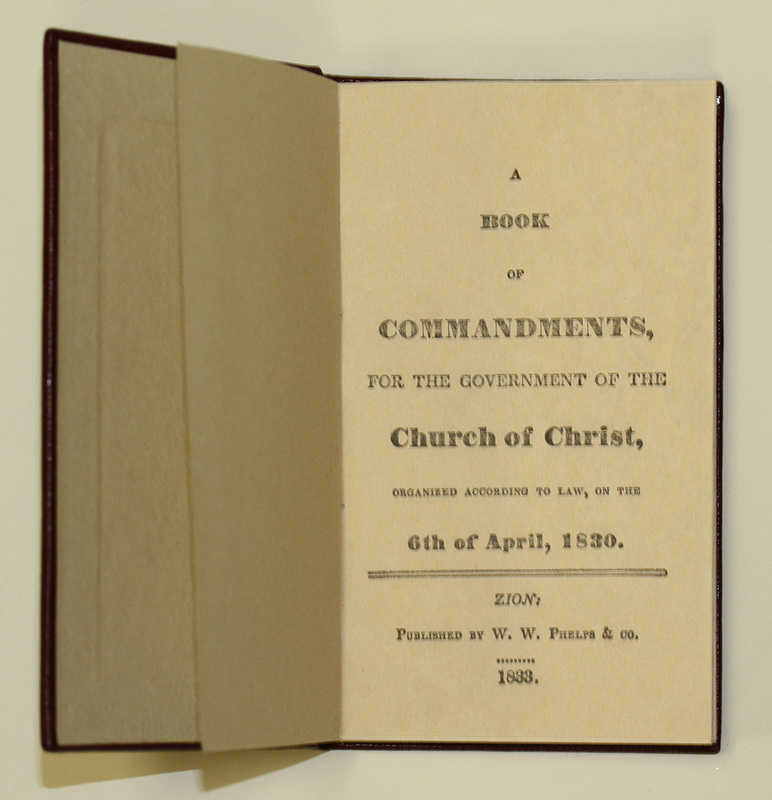 Joseph said that “immediately” after his return to Harmony, in July 1828, the heavenly messenger returned the Urim and Thummim (which had been taken in consequence of Joseph “having wearied the Lord in asking for the privilege of letting Martin Harris take the writings”). Joseph then received the revelation now recorded in Doctrine and Covenants 3 through the Urim and Thummim. 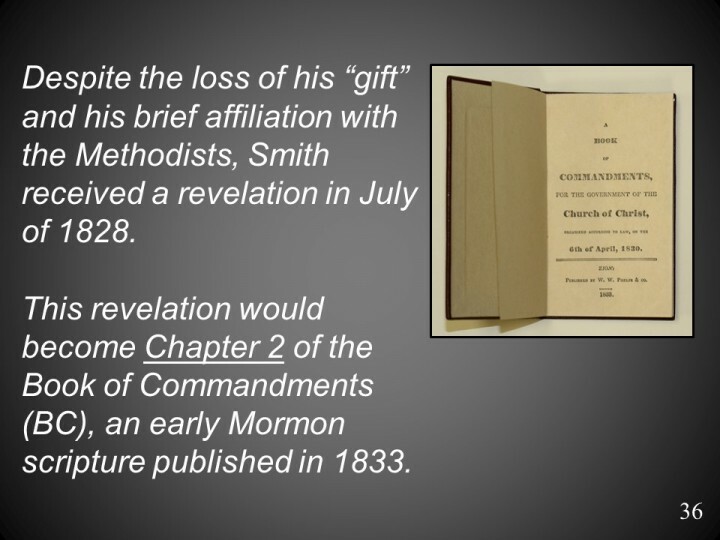 “After I had obtained the above revelation,” recorded Joseph, “both the plates, and the Urim and Thummin were taken from me again, but in a few days they were returned to me” (Joseph Smith, Manuscript History of the Church, Book A-1, Joseph Smith Papers, Church Archives [hereafter “Manuscript History”], in Dan Vogel, Early Mormon Documents [Salt Lake City: Signature Books, 1996—2003], 1:72—73 [hereafter EMD]). Lucy, on the other hand, said in one portion of her reminiscences that the Urim and Thummim was returned on September 22, 1828, and that sometime after that, she and her husband visited Joseph (see Biographical Sketches, 126). Complicating the matter even further, she said in another part of her history that “nearly two months” had passed when she and Joseph Sr. decided to go to Harmony. Since Joseph apparently returned to Pennsylvania the first week of July, such reckoning places Joseph Sr. and Lucy’s trip south around the beginning of September rather than at the end of the month. I believe Lucy was simply mistaken about the September 22 date and that the plates and Urim and Thummim were returned to Joseph in July and that his parents visited early in September, arriving back in Manchester on or before September 11, the date when Gain C. Robinson visited the Smith family and charged Joseph Sr. for medicine (see note 10). This is one of a number of instances where a third-party account confirms details of Lucy Mack Smith’s history—rather impressive considering the fact that she dictated it in 1844—45.